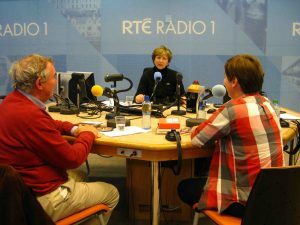 Presenter Olivia O’Leary explores the diverse and vibrant world of poets and poetry in the Poetry Programme on Sundays on RTÉ Radio One at 7:30 pm. The 2019 series will begin in spring. Date to be confirmed. Listen back to previous programmes. In 2018 the Poetry Programme released a series of 12 videos. The Poetry Programme is a Rockfinch production for RTÉ. Series Producer: Claire Cunningham.